What is a winelover? I guess there are at least as many answers to that questions as there winelovers out there. While thinking on it I find several answers in myself – but one of the obvious ones is getting new kicks – through wine. To boldly to boldly go where no man has gone before is perhaps taking it to far but to boldly go where my tastebuds has not gone before might be more accurate. So I’m on an everlasting quest for flavours (new impressions, information and for new meetings). This post is about my Saturday search for the holy graal, defying the forces of nature all to get to that next glas of fantastic wine. 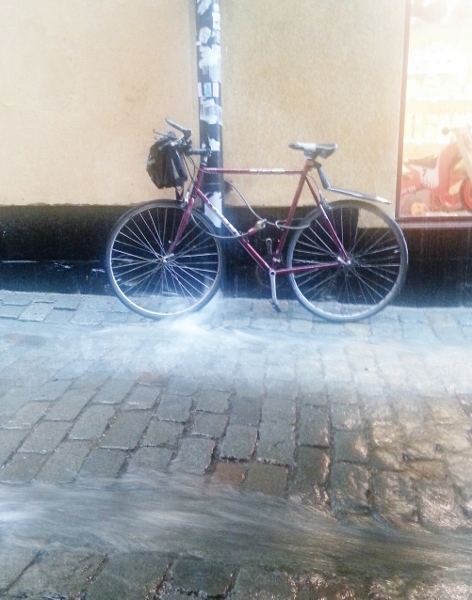 weather wise it was on odd day – windy, sunny, rainy! Tomorrow I’ll be sitting on a plane to Sicily to meet winelovers from all over the world and of course from Sicily on a quest for new flavours, read more about it here. Yesterday we started off by drinking a Sicilian wine (in preperation for my trip to Sicily), then we turned to France and Rumaina and ended up with a riesling from Ohio, USA. 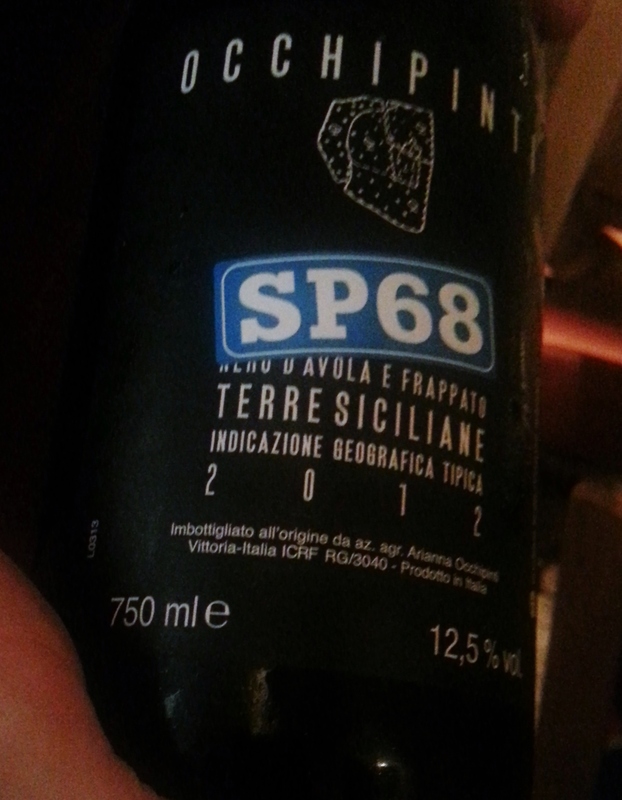 As often happens on Saturdays we found ourselves at the winebar 19glas in Stockholm, and as always we had a few bottles of great wine and we started it all with Arianna Occhipinti SP68 2012 (Nero D’Avolo and Frappato). I love the pure fruit in this wine, it have that taste you get when eating fresh berries, mixed with nice tannins and good acidity. Easy to drink, lush and really nice 🙂 Though we’ll not visit this winery or the southern part of Sicily it did the job of getting me really exited for the upcoming WestSicily-trip. 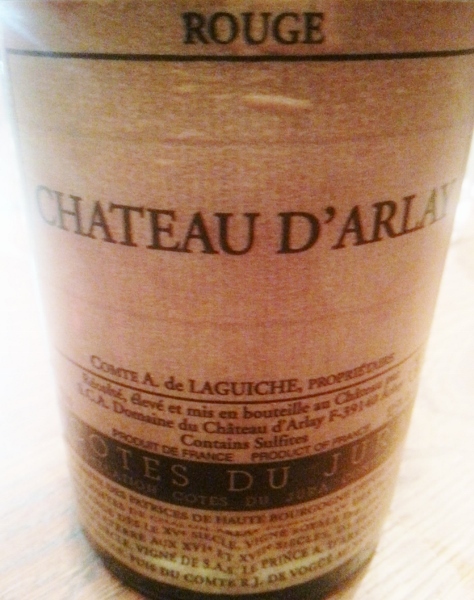 From Sicily we went north, to a region I really would like to visit in the future, Jura in France, with a bottle of Chateau D’Arlay Rouge 1987 (100% Pinot Noir). Now this is great stuff, the fragrance is amazing, and the flavours with the mix of mature notes, red berries and spices gives a reminiscence of autum – where parts of summer remains. Really lovely! After this we took a stroll through the Old town to restaurant/winebar Corvina Enoteca (well worth a visit if you are in town) in hunt for a Romanian wine. Via twitter and instagram I noticed that they had wine in stock – gotta love social media! 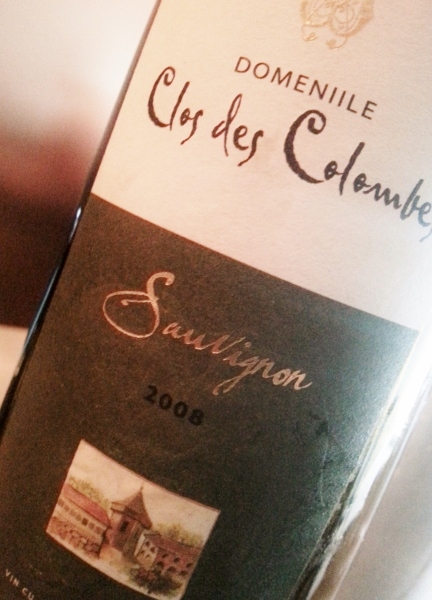 Clos de Colombes sauvignon blanc 2008. The vineyards are located near Olimp by the Black sea and this is a interesting wine. It’s got more exotic fruit and warmth than I’m used to in a sauvignon blanc, this is mixed with a nice oaky vanilla note – which first gets me thinking on american oak but after a while it goes more towards french oak and a white burgundy. This is a wine that is balanced with acidity – and is so perfectly. Really nice, interesting and different, it got some new world flavours as well as some old world flavours and, I would guess, some from Romania. 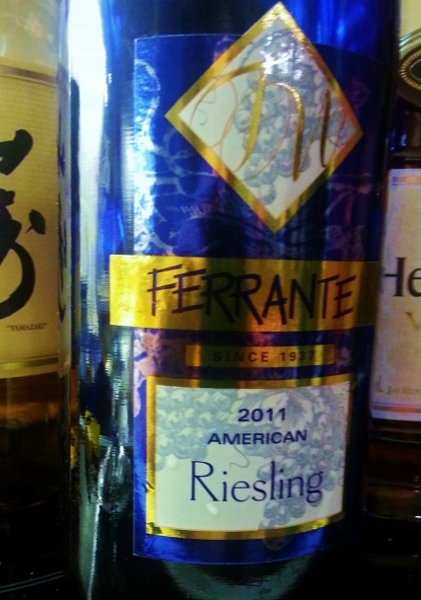 After this we went to a friend birthday party where another surprice awaited us – a riesling from Ohio: Ferrante American Riesling 2011. First off – the bottle is horrendous. A blue bottle and a label that never should have left the 80’s. 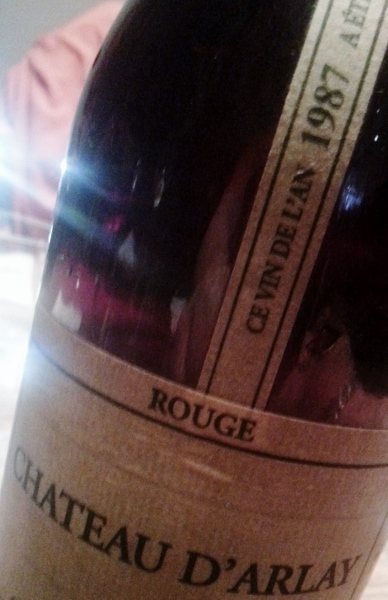 With that said the content is quite good, it’s an easy drinking wine with quite a lot of sweetness. It has quite a lot of peach and apricot and a nice acidity and is quite european in style, in a blind tasting I probably would have guessed Germany but would have had a problem of putting it in a specfic region. Interesting and well made, for me it’s a little too sweet in style, but then again it’s great party wine! That was my Saturday – it was great – hope yours was too! Previous Off to meet the Elymians, the Sicani, the Siculi and or the Sicels! Imorgon bär det av till Italien – så den kommande veckan skriver jag mina inlägg på Testimony of a wine junkie och re-bloggar dom här. Detta inlägg rör gårdagens besök på 19glas och Corvina Enoteca samt en överraskande vin på en fest. Lovely post, Magnus. The excitement of the search is what attracts me too, especially in the knowledge that I’ll never find the ever elusive holy grail! In fact we are in (a) Camelot, Jura, and visited Chateau d’Arlay! I look forward to continuing our quest with you and good friends in Sicily – bon voyage!